blocks and sectors for specific activities, and from above resembles a butterfly or a plane. The utopian city planning and use of modernist architecture on a large scale has been both praised and criticized. Whilst exploring the architecture of the city, make sure not to miss the Eixo Monumental – an open area downtown hosting many monuments and government buildings, including the almost abstract National Congress Building – and the Palacio da Alvorada on Lake Paranoa, the official residences of the Brazilian President. But it’s not just about buildings and open spaces, and Brasilia boasts a lively and varied cultural scene, as well as a diverse and renowned cuisine. Head to the Asa Sul district for some of the finest dining in the city. 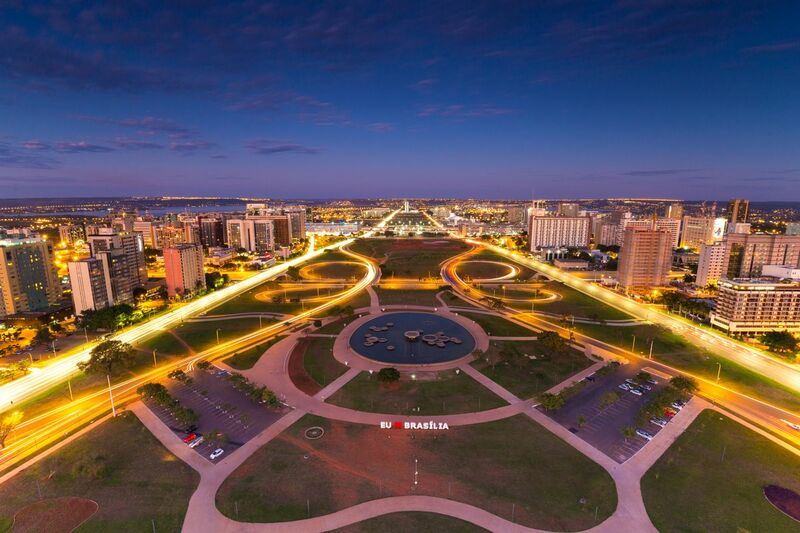 Brasilia is the capital city of Brazil. It's a planned city, that was built following a tight scheme. It has beautiful monuments, and the clearest sky you can see in the entire Americas. The climate is warm mostly the entire year. Nightlife is full of good restaurants and places to listen to music and dance, going from Sertanejo (a brazilian style closest to american Country), rock, to caribbean dance rhytms. Brasilia is a bit of an urbanist modern experiment. And it's also a fantastic city to visit if you are interested in modernism architecture. It also serves as a base to visit the beautiful Cerrados parks around it (specially the Chapada dos Veadeiros one). My favorite building in Brasilia... cool spiral to walk around and meditate, big ol' crystal to charge you up, even special holy water to drink. Lots of cool rooms to check out, old artifacts, gifts, even a tomb. The day I was there, lots of military types cruising around with swords... not sure if that's usual or if I just got lucky. Brasilia is an interesting city architecturally. As some know it was a planned city and whether or not it is a success is due to your taste levels. I thought it was tacky but all of Brazil is charming so there is no way I wouldn't recommend it. The place that I live and love.